$37.4 - A cute throw back that reminds us of a song sung by the king, this design is from Rylee and Cru. The blue top is created with a fabric that is beyond soft to the touch. Her comfort is always number one, and this shirt checks off that box. 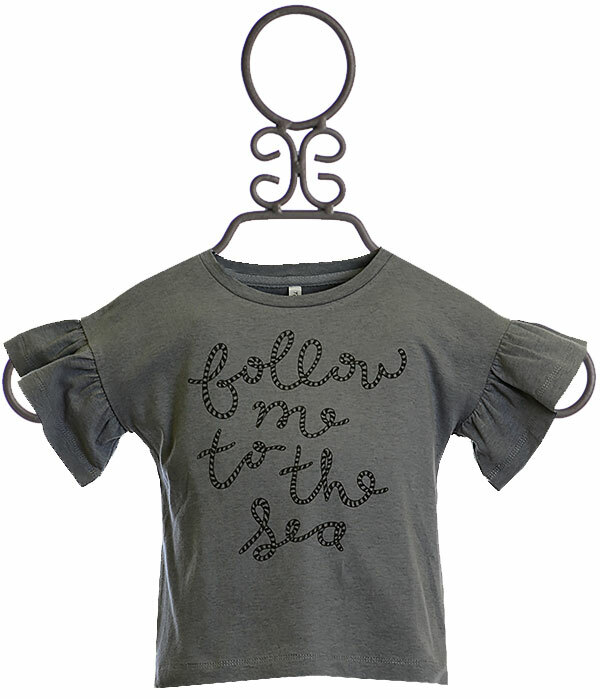 Script text reads "follow me to the sea" on the front. These letters are striped in black. Ruffle short sleeves dance with the breeze. The hem has a short split centered on the back and the boxy cut is casual and perfect.